Delegates from Virginia's western region assembled in Wheeling. They agreed to repudiate Virginia's ordinance of secession from the Union, chose to establish a "restored government" in western Virginia, and then elected Waitman T. Willey of Morgantown and John S. Carlile to represent the newly restored government in the United States Senate. When the two men presented their credentials to the Senate on July 13, 1861, however, questions arose about the legitimacy of their claims. Ultimately, the Senate agreed to seat the two men, thus laying the foundation for the new state of West Virginia. The Senate passed West Virginia's application for statehood with a 23 to 17 vote. The House of Representatives followed suit and approved the application on December 10, 1862. President Abraham Lincoln gave the act his approval the following June. West Virginia became the 35th state in the Union. Peter G. Van Winkle of Parkersburg and Waitman T. Willey took the oath of office as West Virginia's first two U.S. senators. They then drew lots to determine their class assignments. Van Winkle drew Class 1, for the term to expire on March 3, 1869. Willey drew Class 2, with a term to expire March 3, 1865. 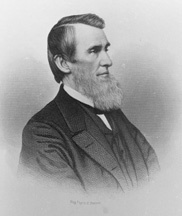 Henry G. Davis of Piedmont, elected to the Senate in 1871, became chairman of the Senate Committee on Appropriations, a position he held until 1881. The Senate voted to seat Charles J. Faulkner of Martinsburg. On March 5, 1887, with the state legislature out of session, West Virginia’s governor had appointed Daniel B. Lucas to fill a vacant Senate seat. On May 5, 1887, during a special session, the West Virginia legislature elected Charles J. Faulkner to fill the same seat. Consequently, when the Senate convened on December 5, 1887, two claimants appeared for the seat. Lucas argued that the West Virginia legislature was not empowered to elect officials during a special session. Following an investigation by the Senate Committee on Privileges and Election, the Senate voted to seat Faulkner. Settling a contested election case, the Senate voted to allow Nathan B. Scott of Wheeling to retain his seat following charges of fraud and coercion in Scott’s campaign. Congress accepted a marble statue of John E. Kenna by sculptor Alexander Doyle, West Virginia's first contribution to the National Statuary Hall Collection. Born in Virginia in 1848, Kenna studied law and became a leader of the emerging Democratic Party in the new state of West Virginia. He served in the U.S. House of Representatives and the U.S. Senate, where he championed his state's coal and timber industries. He died in 1893, at age 45. 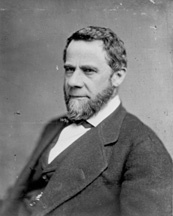 Former senator Henry G. Davis of Piedmont, who had served in the Senate from 1871 to 1883, ran unsuccessfully for vice president on the Democratic ticket (with running mate Alton B. Parker of New York). 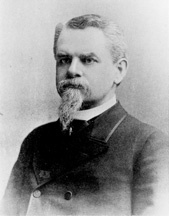 He and Parker lost the election to Charles W. Fairbanks and Theodore Roosevelt. Congress accepted a marble statue of Francis Harrison Pierpont by artist Franklin Simmons, West Virginia's second contribution to the National Statuary Hall Collection. 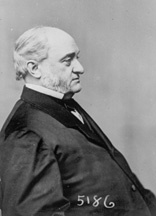 Born in Virginia in 1814, Pierpont studied law and became attorney for the Baltimore and Ohio Railroad in 1848. He remained loyal to the Union during the Civil War and was instrumental in setting up a provisional federal government in western Virginia during the war and the eventual creation of West Virginia as a separate state. 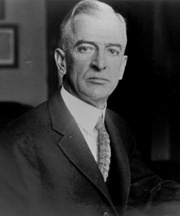 Senator William E. Chilton of Charleston was elected as secretary of the Democratic Conference, a position he held for two years. The Senate voted to allow Clarence W. Watson of Fairmont and William E. Chilton to retain their seats following charges of bribery and fraud. Howard Sutherland of Elkins, a former House member, became West Virginia's first directly elected senator following the passage of the Seventeenth Amendment to the U.S. Constitution in 1913. After an investigation into charges of voter fraud and excess campaign expenditures, the Senate voted to allow Howard Sutherland to retain his seat, noting that financial records showed he spent $51.63 in excess of state limits on campaign financing. The Sutherland case prompted the Senate to examine state and federal laws governing election finances. The Senate voted to allow Rush D. Holt of Weston to retain his seat following charges that he did not meet the Constitution's 30-year age requirement. 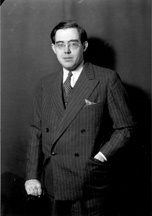 Holt, who was 29 during his campaign, had pledged to wait six months into the 1935 session until his 30th birthday to be sworn in. Holt is the fourth youngest of all senators. 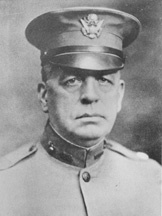 Matthew M. Neely of Fairmont became chairman of the Senate Committee on Rules of Administration, a position he held from until 1941. W. Chapman Revercomb of Charleston became chairman of the Senate Committee on Public Works (today's Committee on Environment and Public Works), a position he held for two years. Senator W. Chapman Revercomb delivered George Washington's Farewell Address to the U.S. Senate, a tradition dating to 1862. The Senate voted to allow Harley M. Kilgore of Beckley to retain his seat following an investigation of campaign irregularities. 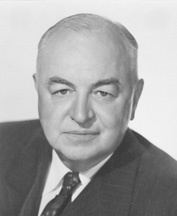 Harley M. Kilgore became chairman of the Senate Committee on the Judiciary, a position he held until 1957. Senator Jennings Randolph of Elkins delivered George Washington's Farewell Address to the U.S. Senate, a tradition dating to 1862. Senator Robert C. Byrd of Sophia was elected Democratic Conference secretary. He defeated Joseph Clark of Pennsylvania by a vote of 35 to 28. Senator Robert C. Byrd defeated the incumbent, Senator Edward Kennedy of Massachusetts, for the position of Democratic Party whip. He served in that position until January 3, 1977, when he advanced to the position of Democratic leader. Senator Jennings Randolph celebrated ratification of the Twenty-sixth Amendment to the Constitution, which he authored, lowering the voting age to 18. Senate Democrats elected Robert C. Byrd as chairman of the Democratic Conference and floor leader. 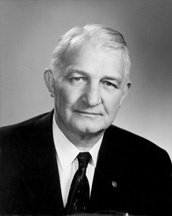 Senator Byrd served as majority leader from January 4, 1977, to January 3, 1981, and again from January 3, 1987, to January 3, 1989. 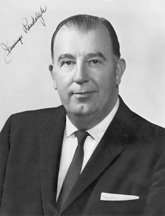 He served as minority leader from January 3, 1981, to January 3, 1987. Byrd also served as chairman of the Democratic Policy Committee. 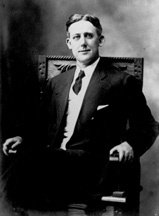 Jennings Randolph became chairman of the Senate Committee on Public Works, (today's Committee on Environment and Public Works). He held this position until 1981. 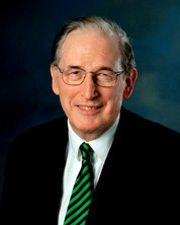 Senator John D. (Jay) Rockefeller IV of Charleston delivered George Washington's Farewell Address to the U.S. Senate, a tradition dating to 1862. The Senate elected Robert C. Byrd as president pro tempore. Byrd served four terms in that position, from January 3, 1989, to January 3, 1995; January 3, 2001, to January 20, 2001; June 6, 2001, to January 3, 2003, and January 4, 2007 until his death on June 28, 2010. 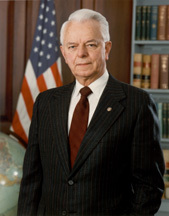 Robert C. Byrd became chairman of the Senate Committee on Appropriations. Byrd chaired this Senate committee four separate times: January 3, 1989, to January 3, 1995; January 3 to January 20, 2001; June 6, 2001, to January 3, 2003; and January 3, 2007, to January 21, 2007. Robert C. Byrd received the “Golden Gavel Award” for presiding over the Senate for 100 hours in a single session. John D. (Jay) Rockefeller IV became chairman of the Senate Committee on Veterans' Affairs. Senator Rockefeller chaired the committee three times: January 3, 1993, to January 3, 1995; January 3 to January 20, 2001; June 6, 2001, to January 3, 2003. Senator Robert C. Byrd became the longest-serving senator in Senate history, breaking Senator Strom Thurmond’s record of 17,327 days in office. When Senator Byrd died on June 28, 2010, he had served a total of 51 years, 5 months, and 26 days. John D. (Jay) Rockefeller IV became chairman of the Senate Select Committee on Intelligence, a position he held until January 21, 2009, when he became chairman of the Senate Committee on Commerce, Science, and Transportation. Rockefeller retired from the Senate on January 3, 2015. 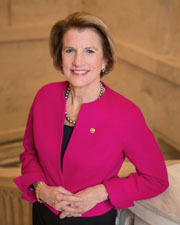 Shelley Moore Capito of Charleston became West Virginia's first woman senator.